Cheryl has played violin since she was 9 years old. She has played solo and in groups from a very young age. In college, she had experience conducting small and large groups. As a graduate student, Cheryl student taught at the Detroit School for the Performing Arts. In this capacity, she led the vocal and strings groups for the Fall semester. She led classes, rehearsals, and performances of vocal groups of 50 students and string and full orchestras. As a music therapist, Cheryl led performances of all kinds and sizes with students singing, playing instruments, and performing in musicals. In 1999, Cheryl wrote original songs for and co-directed a musical with elementary students enrolled in general and special education classes. 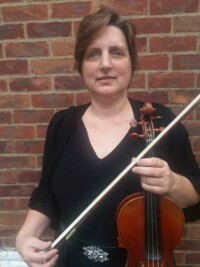 Currently, Cheryl has a violin studio in her home where she teaches beginning and advanced students of all ages. Cheryl still plays in small and large ensembles. She leads the 2nd violin section in the Detroit Medical Orchestra and plays in two quartets-one on violin and the other on viola. Cheryl is proud to be joining the Livonia Youth Symphony as she has played 2nd violin for the Livonia Symphony for over a decade. She is excited to help the young people of Metro Detroit expand their musical skills and experience the transformative power of music. 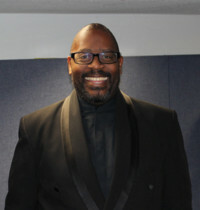 Carl is a former member of the Detroit Symphony Orchestra as well as having played with the orchestras of Dallas, New Orleans and Milwaukee. He was a busy free lancer here in Detroit, recording and performing with many great performers, classical and pop, ballet and opera. He also was director of youth orchestras, (Dearborn, Livonia, Home School, etc.) As well as a teacher in the public schools. He is also a long time member of the Livonia Symphony Orchestra, (three and a half decades) where he enjoys playing principal horn and serves as Assistant Conductor also for three and a half decades. Timario is a University of Michigan School of Music graduate with over 25 years teaching experience in classroom, small group and one-on-one settings. “Mr. Tim,” as his students like to call him, is a passionate and dedicated conductor with the Livonia Youth Symphony Orchestra. Timario has a genuine love for music and helping students grow as musicians. He enjoys being a part of those special moments when a student finally “clicks” with a piece. The students have the best audience to his unique teaching style and will often see silly faces at the start of a piece to help them relax. There have been reports of a certain “singing” strategy to emphasize notes students are working on as well as occasional superhero sightings. Additionally, if you are a music student in Ann Arbor you have likely had Mr. Tim as a teacher at some point. He has worked with students in grades 5-12 for twenty years in Ann Arbor Public Schools and currently works at Ann Arbor Open, Clague, and Skyline. He recently conducted his first Pit Orchestra with Pioneer Theatre Guild’s Willy Wonka production. When he is not teaching music, giving private lessons, or conducting a youth orchestra you can find him playing viola and guest conducting with the Livonia Symphony Orchestra. Linda Ignagni started violin with the Livonia Public Schools. Played in the Livonia Youth Symphony from 1958 through 1966. Between the years of 1959 and 1966 competed for and won scholarships to spend many summers enjoyed studding at Interlochen International Music Camp, Interlochen, Michigan. 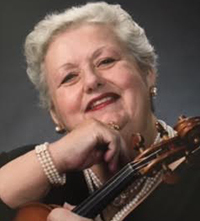 Ms. Ignagni, under full scholarship, attended Wayne State University, where she completed her course studies for a Bachelors Degree in Performing Arts on Violin with a Minor in Viola. She performed with the Windsor Symphony, Flint Symphony, and Saginaw Symphony. She performed with Peter Nero, Moody Blues, Aretha Franklin, and several others. In 1989 Ms. Ignagni was invited to study privately in Czechoslovakia, were she performed at social events, as well as performing on broadcasting stations that were viewed throughout Eastern Europe. A pond returning to Livonia Ms. Ignagni joins the Livonia Youth Symphony Board and became the String Specialist. In 1991 Ms. Ignagni was invited to perform in Dublin, Ireland. Although, she was unable to go to Ireland, she, though out the years, performed with the Nashville Symphony, Beaver Island Summer Festival Orchestra, and several area symphonies. She founded the Doree’ String Quartet, and the Saryati String Quartet. She has been featured in the Livonia Observer, Detroit Free Press, and the Detroit News. Ms. Ignagni now teaches private lessons in her home studio, and at the Fine Art Academy of Plymouth First United Methodist Church, in Plymouth, Michigan. She performs and contracts for area churches and is Personnel Manager of the Livonia Symphony Orchestra.